Battery life is definitely one of the biggest concerns of almost everyone who is planning on buying a new mobile device. 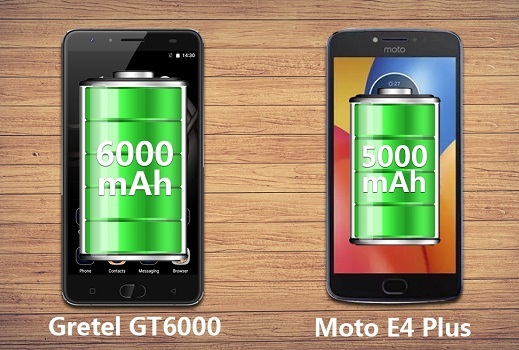 Both Motorola’s Moto E4 plus and Gretel’s GT6000 are among the new Android phones in 2017, also packing a huge battery that should be able to last at least 2-3 days. 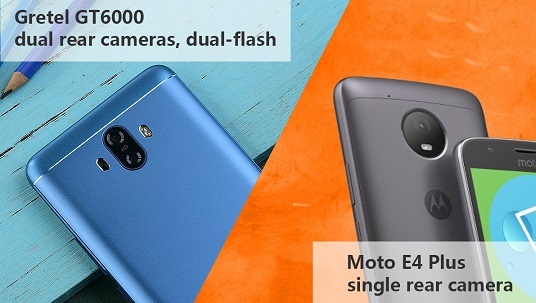 Going by the specs comparison pictures, both phones look similar and have some identical features: quick charger, front fingerprint sensor, 5MP front camera with selfie flash and 2GB RAM. 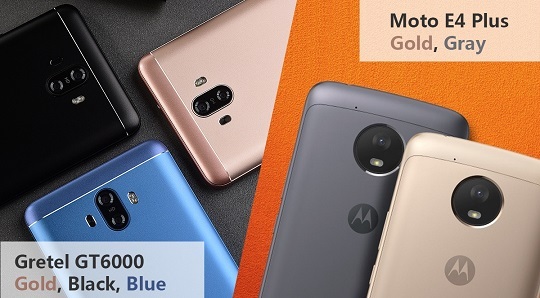 However, the Gretel GT6000 offers up a bigger battery life, dual rear cameras, available in fashionable colors and lower price than Moto E4 plus. From the body design perspective, they’re both solid, made from a combination of metal and plastic. Last but not the least, if you want a dual rear cameras phones with bigger battery smartphone and lower price, the Gretel GT6000 will be a wonder choice for you. That said, the flash sale price for GT6000 is $98.74, click here to buy now, the flash sale will end at 23:59pm August 19(GMT+8). It is almost impossible to find another device like the GT6000 with that kind of price tag. 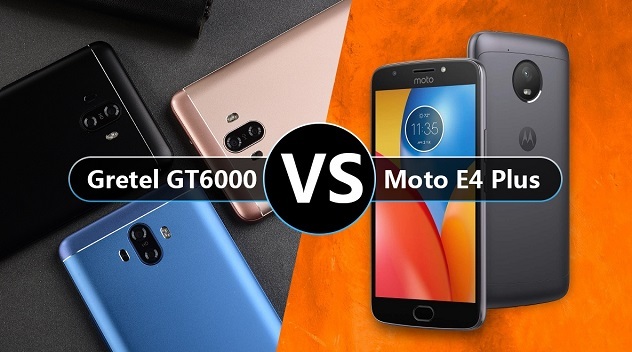 Infinix Smart vs Tecno Spark K7 – Which One is Better?